Wild boars are fearsome, dangerous animals, yet revered as a defender of the weak and prized for it’s meat, as such it is often associated with hospitality. Any function of importance would include a feast with boar meat as a central offering, and the remains of roasted boar meat is a frequent find in the burial-places of tribal chieftains. Which is why I included a long barrow on the back of the boar. The boar figures heavily in tales of the Otherworld, often in the guise of a trickster figure, full of cunning and mischief. 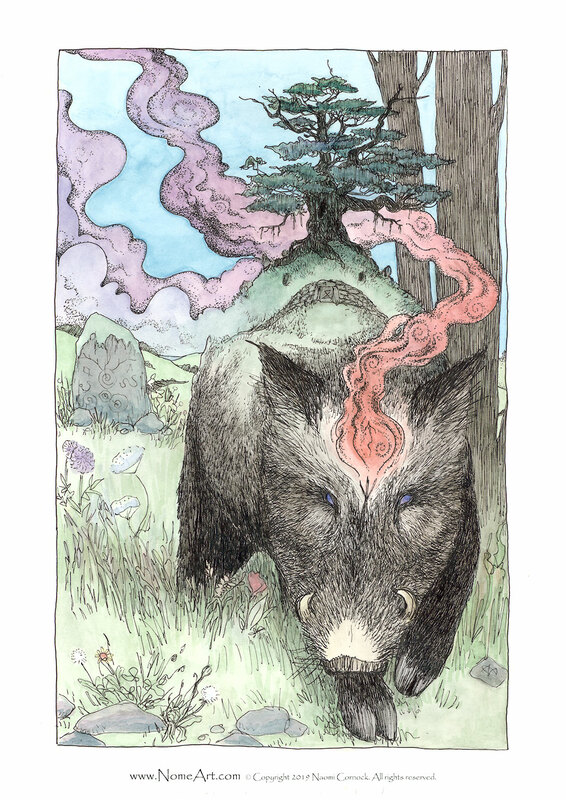 The boar is a frequent participant in the “wild hunt,” and often included in otherworldly procession of faeries and ghosts. Wild boar meaning is most profound when it comes to defence and protection. 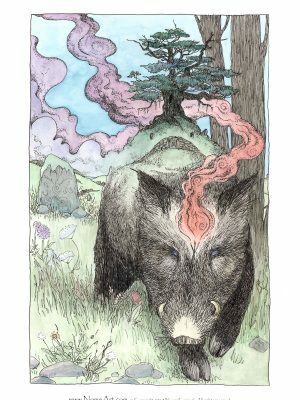 Indeed, many indigenous cultures adopted the boar as a symbol of warriors and mighty courage.